Located near the Royal Palace, Cambodia’s National Museum offers a charming setting for a stunning collection of ancient Khmer art. Predominantly constructed of sandstone, the sculptures date from both the Angkorean and pre-Angkorean eras. 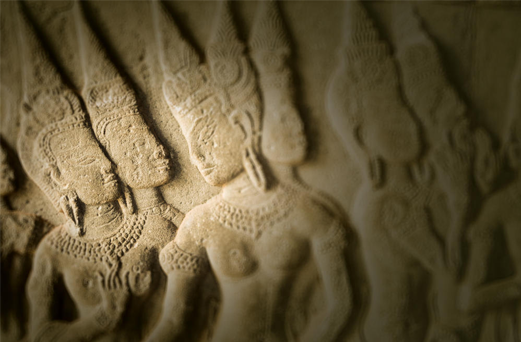 These exhibits are complemented by more recent examples of Cambodian art. 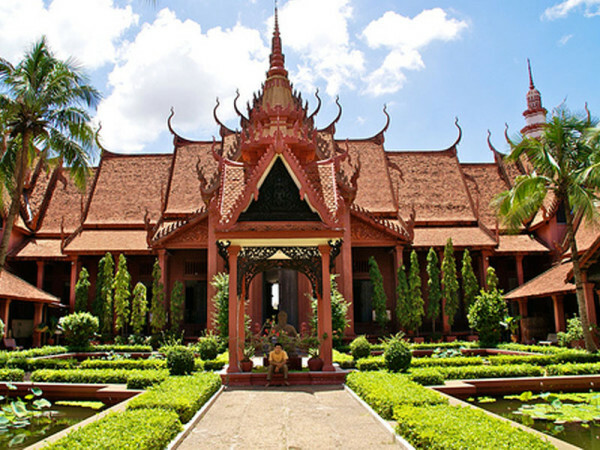 The museum is housed in a terra-cotta-roofed structure of traditional Cambodian design, which was built between 1917 and 1920. Apart from artistic treasures, the building is also home to a large colony of Cambodian freetail bats. The colony has lived in the building’s rafters for years and is believed to be the largest group of bats living in a man-made structure anywhere in the world. But visitors need not worry about becoming a guano target, as the Australian government reinforced the ceiling of the museum in 1997. The only time you are likely to see the bats is when they fly from the roof en masse at dusk each evening. 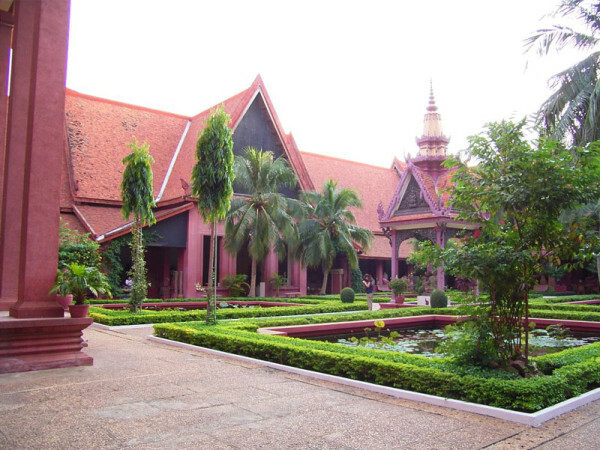 The museum houses one of the world’s largest collections of Khmer art, including sculptural, ceramics, bronzes, and ethnographic objects. 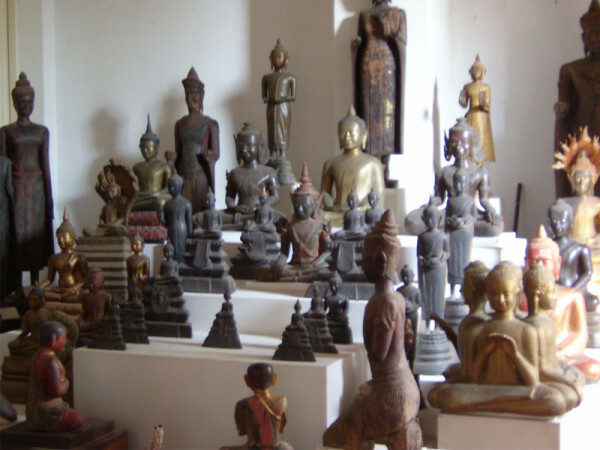 The Museum’s collection includes over 14,000 items, from prehistoric times to periods before, during, and after the Khmer Empire, which at its height stretched from Thailand, across present-day Cambodia, to southern Vietnam. The Museum buildings, inspired by Khmer temple architecture, were constructed between 1917 and 1924, the museum was officially inaugurated in 1920,and renovated in 1968. 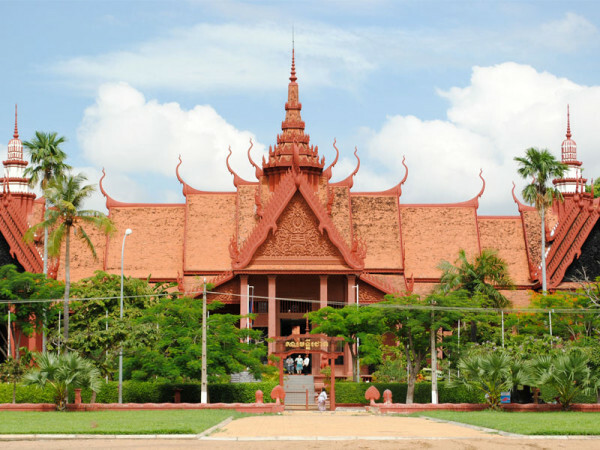 National Museum of Phnom Penh is famous for the most amazing artifacts and traditional collections collected from all over the world. 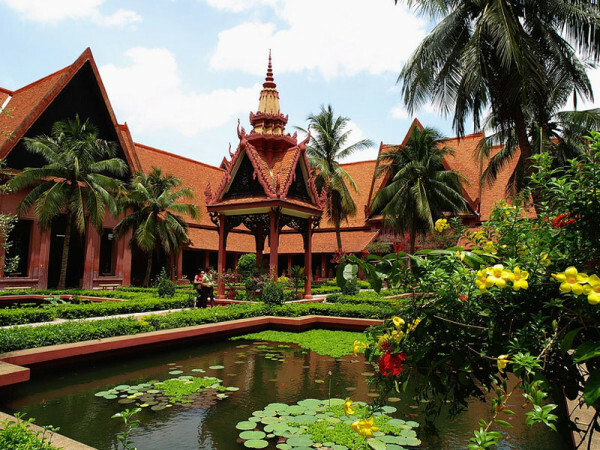 The National Museum at Phnom Penh Cambodia houses the world’s best and probably the largest collections of Khmer art. Thus the museum stands as a tribute to the Khmer era and the Angkor era. Along with the numerous collections the museum also seems to have become hugely popular because of the archeological and ethnographic collections. The museum is immensely popular to all those interested in looking at those remnants of the bygone era. The museum has a brilliant sculpture of the statue of Vishnu. There are other points of attraction near the National Museum at Phnom Penh Cambodia which are also very popular in their own right. Tourists cannot help visiting the places while touring the museum. The great temple of Angkor is an old ruin dating back to the 15th century era. The ruin is located in the Siem Reap area along with the fabulous Angkor Wat which is very popular as well. Tourists can reach the museum from any part of the city. The city has a well connected transport system with the government providing buses and service taxis. The museum is located at the north of the Royal Palace. 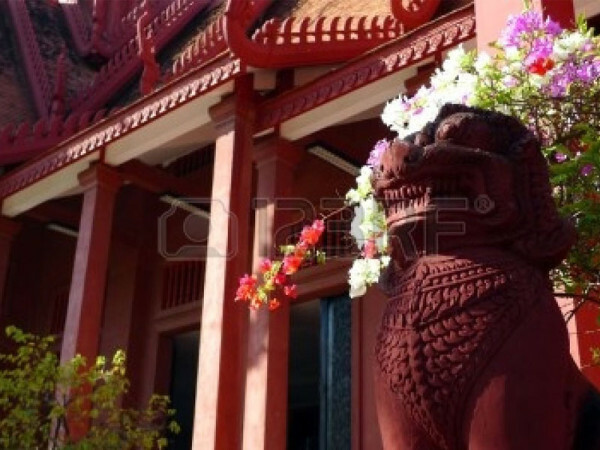 National Museum of Phnom Penh ranks among the best Museums of Phnom Penh.